This week's edition of Ready For The Weekend sees us travelling to Carlisle before heading to the very north of Scotland before finally coming all the way back and ending in London. Only in British Wrestling would that be a normal weekend. So let's get on the road! Friday night kicks off in Carlisle when Target Wrestling return to The Venue with a showcase of the Best Of British. When you talk about the best in the UK with regards to tag teams, few surpass The Hooligans' Zak & Roy Knight. On October 16th they step in the ring with a tag team who have dominated Target Wrestling for the last year, Alexander Henry & Johnny Khaos of Red Nation. Red Nation have taken the fight to any tag team they have faced but this Friday they'll face a team which loves to fight. The Hooligans are rightly so in the top elite of tag teams in the UK right now and this will be the biggest test that Red Nation have ever faced. A win for them would undoubtedly put them amongst the very best. Friday will also see James Scott make the first defence of the High Octane Division Championship since winning the vacant championship back in September. He'll have a challenge on his hands as he defends against Spyda, who he defeated to win the championship, and Martin Kirby, one of the UK's most decorated singles & tag team champions. Scott has proven himself at being tough after coming back from injury but this will be a big test against not just one but two opponents. Originally, Target Wrestling announced that Carmel would be in action against Saraya Knight, however after unforeseen circumstances Saraya had to withdraw from the match. Target Wrestling didn't let that stop them and upped the ante by announcing that Carmel would instead compete against Kasey Owens, Bete Noire & Destiny in a fatal four-way match instead. The mast will see both Destiny & Bete Noire make their Target Wrestling while Owens makes her first appearance since April. This match has a lot of styles in it from heavy hitters like Destiny and Bete Noire to the more high-flying and technical aspect from Owens & Carmel and a lot of crossover from all four women. Nobody looks a clear winner with all four looking to leave a lasting impression in Target Wrestling. 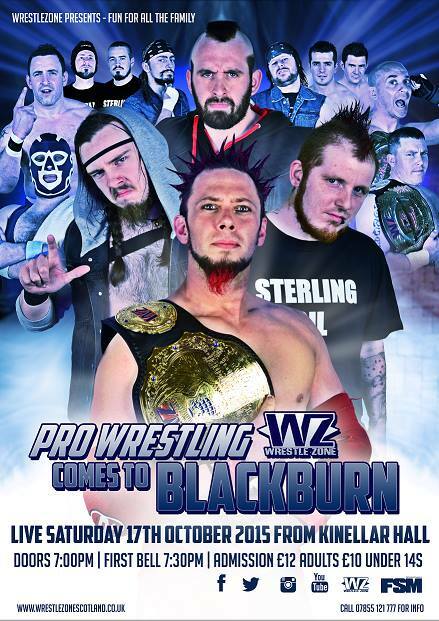 Moving on to Saturday and we travel to the north of Scotland for Wrestlezone's event at the Kinellar Hall in Blackburn. 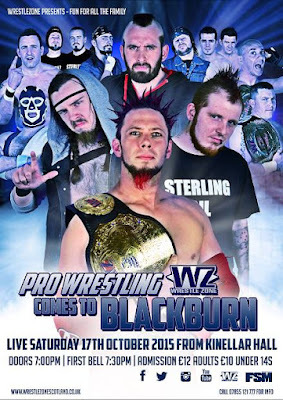 The past few events have seen a back-and-forth between The Rejected's Chris Archer & Mikkey Vago and the current Wrestlezone Tag Team Champions, Mr P & Kaden Garrick. Neither team has come out a clear winner from their previous match victories being shared between both teams. This Saturday looks to see their rivalry continue as Mikkey Vago faces Kaden Garrick while Mr P competes against Chris Archer in singles match. While these matches won't settle anything, wins for The Rejected could see them get another shot at the Wrestlezone Tag Team Championship. One man who has definitely been picking up win after win in recent months has been Aspen Faith. A few weeks ago, Faith issued a challenge to any former Wrestlezone champion to face him as he looked to further make his case as a contender for championship gold. However, few expected including Aspen Faith himself that the challenge would be accepted by former Wrestlezone Tag Team Champion, Cysto. Aspen Faith has made it clear that he is not happy and now looks to make an example of Cysto in Blackburn on October 17th. The main event for October 17th will see the current Wrestlezone Undisputed Champion, Scotty Swift continue his fight with Sterling Oil when he joins forces with former champion, Crusher Craib to face Alan & William Sterling in a tag team match. Since Sterling Oil's reformation they have primarily focused on getting the Wrestlezone Undisputed Championship back around their collective waist. Swift has not taken their attacks lying down and has faced every challenge they have put in front of him. He's now taking the fight directly to the group and looks to send a message on Saturday night when he and Crusher Craib meet The Sterling Brothers in the ring. We finally finish the weekend back in London with Progress Wrestling 'Chapter 22: Trust, Encouragement, Reward, Loyalty... Satisfaction' at The Electric Ballroom in Camden. Now as is now a standard with Progress, this show is already sold out and has been for ages. But that doesn't mean we can't look at what is happening at the event and you might be very lucky and pick up returned ticket through their site: www.progresswrestling.twickets.co.uk. The main event will see former tag team partners and friends, Will Ospreay and Paul Robinson clash for the Progress Championship. Ospreay overcame the oppressive Jimmy Havoc to reach the top of the Progress mountain back at Chapter 20 and has already defended it against Mark Haskins at Chapter 21. It was at Chapter 21 that Paul Robinson beat Jimmy Havoc in one of the most brutal matches in the history of Progress Wrestling. Following the match, Robinson laid claim to a championship opportunity which would have been awarded to Havoc had he won. This is the most violent we have ever seen Paul Robinson but Ospreay has told his former mentor that he's not the Will Ospreay that he knew. He is no longer a kid that Robinson helped when they were team mates and Robinson is definitely not the same man he was back then either. These men have unfinished business with each other and on Sunday they look to end it. We won't say whoever wins, more whoever survives will walk of the Progress Champion. Following Chapter 21, Nathan Cruz released a video claiming that he, El Ligero & Zack Gibson were building an army. The London Riots soon heard of this video and countered that they and the current Progress Tag Team Champions, Tommy End & Michael Dante of the Sumerian Death Squad would face this army in a match at Chapter 22. The London Riots & Sumerian Death Squad are looking to meet this army head on except they don't know how big this army actually is. The match has been signed but in all reality we have no idea if the teams will be even or whether SDS & Riots will be outnumbered. Either way, regardless of the numbers, we're seeing a fight on Sunday in Camden. Since his début in Progress Wrestling, 'Flash' Morgan Webster has never lose a single match. Add in that he is also guaranteed a championship match whenever he wants thanks to winning the Natural Progression Series and things are pretty good for The Modfather. One man who wishes he had such success in Progress is 'The Villain' Marty Scurll who has come up short on numerous occasions. At Chapter 21, Marty Scurll simply snapped and shocked The Electric Ballroom with his actions. Since then Scurll has been silent. This Sunday Morgan Webster walks into Progress undefeated but against an opponent in Marty Scurll who might be so dangerous that nobody can comprehend what he might do.